Read more about Bottlenose Dolphins are back! 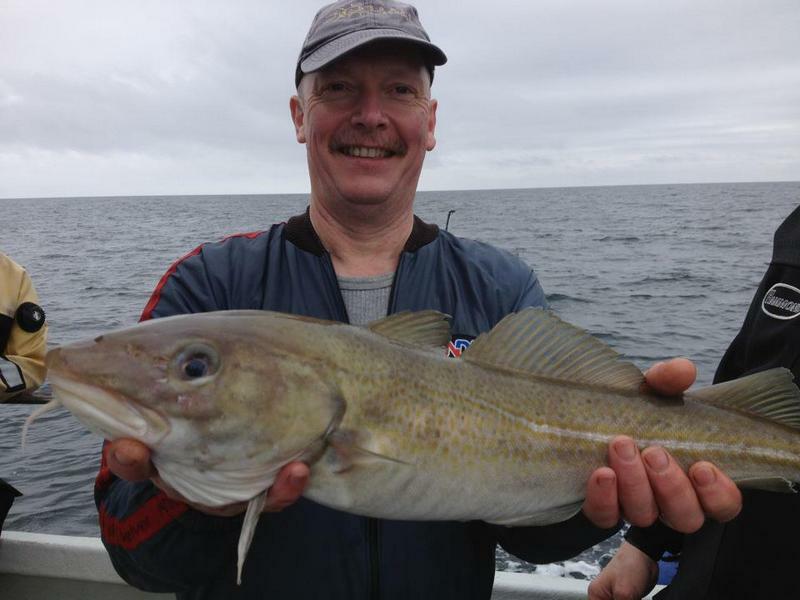 The weather in Newquay has been rather challenging this week but it didn't put off a group of stags who stayed the course and caught a dozen Pollack , a dozen Cod , plus plenty of Mackerel for a fishtastic Bar-B-Que later .Hope this is a good omen for a long and happy marriage. Thanks to Matt ( Howler) for putting the trip together. Read more about Staggering Stags! 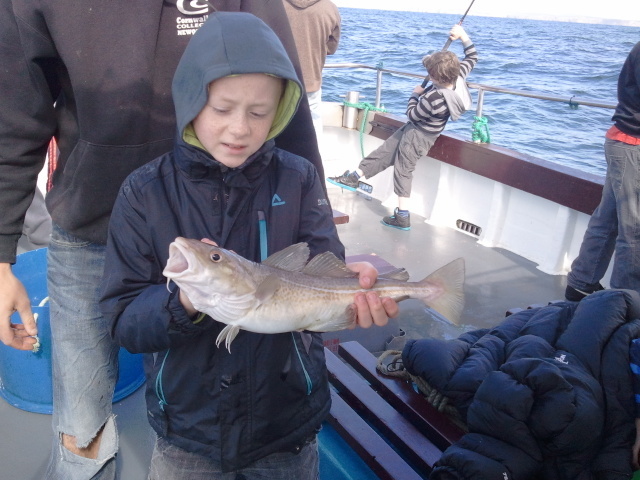 Ali's proud moment as he caught his first cod of the season during our Newquay Wreck Fishing Trip aboard "Atlantic Diver". He ate it for his tea with lemon, Garlic Mayo and crusty bread...now thats what you call fresh! and all sustainably rod rod and line caught. Northerly Northerly winds whipped up but despite the interesting waves...Tag -a -Turtle supporters turned out and raised £400 towards being the first in the UK to Satellite Tag the next Blue Reef rescued, rehabilitated and released Loggerhead Turtle.